Hello and welcome to Homegrown Kate. This is a place for me to share and hopefully inspire you with our ideas about food, family life, gardening and anything else that happens along the way. 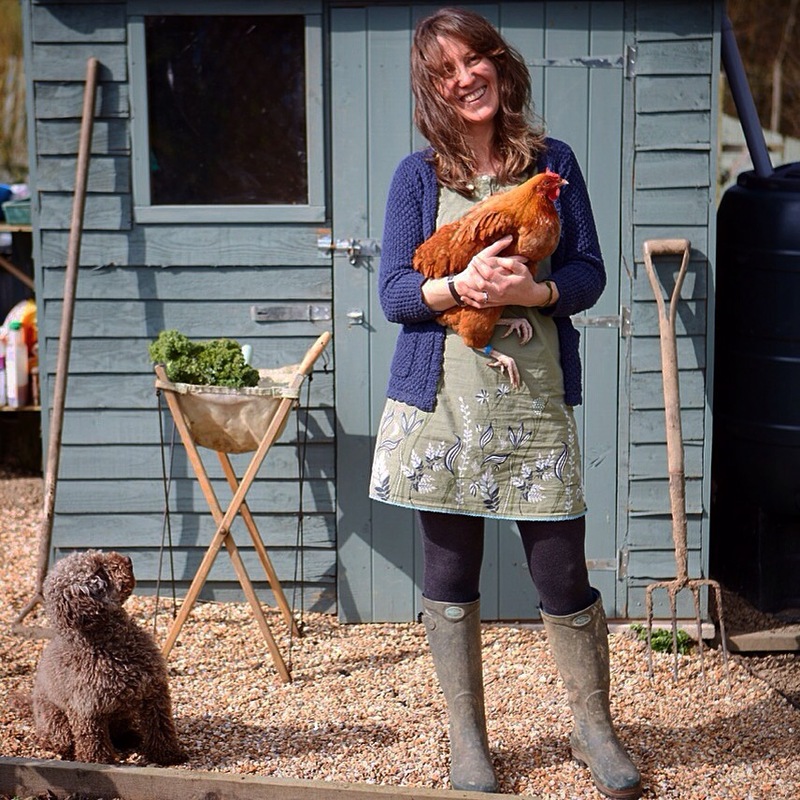 Will and I are raising three ‘free-range’ children, five chickens, a dog and many seedlings and we do everything as naturally as possible. No chemicals, no additives, no nasties. Just heaps of goodness and lots of fun! I’m a food, garden and lifestyle writer, regularly contributing to national publications, and an author of four cookbooks. I also develop new recipes for clients and ‘style’ food on photographic shoots, so there’s always something bubbling away on our stove or whizzing around in the blender! Cooking and gardening go hand in hand in our family and we’ve been growing organic fruit and veg on our allotment for over 10 years. We use biodynamic methods wherever possible to maximise the vitality of our soil, our crops and the food we put on our plates, creating meals that are full of flavour and packed with nutrients. Many of our recipes are vegetarian, but we do eat top-quality, locally sourced organic meat. 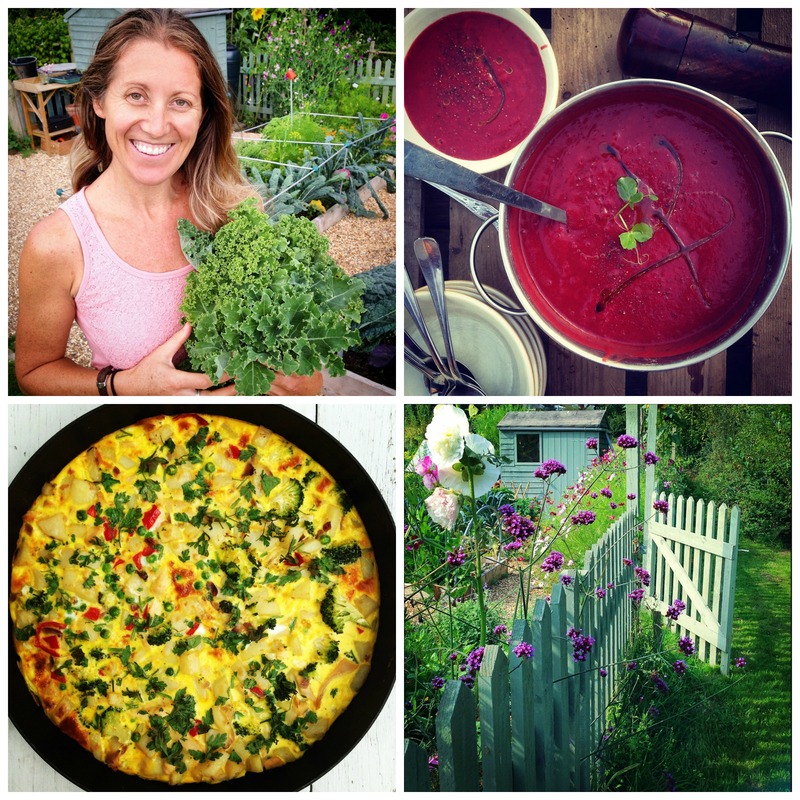 All of our recipes are free of refined sugars and some are wheat free, dairy free and ‘raw’. All have passed the ‘family-friendly’ test with flying colours, are big on taste and created with loads of love. We find that eating this way encourages more energy, good sleep, better health and a strong sense of wellbeing. We hope you enjoy the food as much as we do! Feel free to follow Homegrown Kate if you’d like to be the first to know when a new story is posted. Happy reading and I hope you have a great big, smiley, happy, healthy day! What an amazing blog! Lovely ideas, scrumptious food and photos (taken by you or Will?). My mouth is watering. I wish I had the time and climate for more of these ideas. You do things so well. We do get a few homegrown tomatoes and other vegies from our garden within a brief growing season which are undeniably yum. Will keep reading for inspiration. Really lovely to hear from you Kumalie and glad you like my blog! It’s such fun putting it all together. Photos are all mine, except the ones with me in them… Will takes those. Hope I can inspire you to grow more veg! Maybe some chickens in your back garden too??!! Hi Kate. So glad I found you! Such a lovely life ethos. We aim for similar, growing our own food, cooking delish food, no / low chemicals, involved in the community and encouraging freedom and the good life. Look forward to future posts. Really glad you like my blog and appreciate our life ethos. It’s great to be able to connect with like-minded people. I’m looking forward to checking out your blog too.